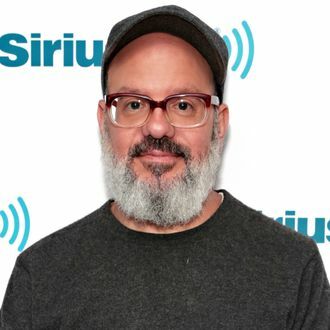 In a new interview with Gothamist, David Cross addressed comments made in a piece published yesterday by the New York Times in which Jessica Walter was brought to tears while discussing an instance of her being berated on the set of Arrested Development by Jeffrey Tambor. Cross apparently logged off of Twitter shortly after the Times interview went live, and had not yet seen the apologies issued by his co-stars Jason Bateman and Tony Hale who, along with Will Arnett, essentially gaslighted Walter by minimizing the effect Tambor’s behavior had on her during the conflict, even as she emphasized that she had never been treated so poorly by someone in her 60-year career. For coming to Tambor’s defense (he told the Times that the actor has “learned from the experience and he’s listening and learning and growing,” adding “That’s important to remember”) instead of empathizing with the actively weeping Walter, Cross told Gothamist, “I will unequivocally apologize to Jessica. I’m sorry that we behaved the way we behaved. Whatever the criticisms are, I will own up. I don’t even know what they are, as I said, I saw the initial thing but I jumped off [of Twitter] at the behest of various people.” He also said that, “I think we kind of got what we deserved,” because they never addressed Tambor’s blow-up as a group prior to this press tour.